Historically, meaningful analysis of the impact of service-enriched housing has presented a tremendous challenge. With limited staff and funding for evaluation, data collection is often inconsistent. Some properties, for instance, collect data on a particular program, but only for the duration of a grant. Funders have different reporting requirements which can make consistent reporting across housing properties impossible. Advocacy for broader and more robust service-enriched housing initiatives is hampered by the limited scope of data and analysis available. The Outcomes Initiative aims to change these conditions. Members of the SAHF collaborative agreed to survey residents of their affordable housing properties to gather information in five areas: health & wellness, financial stability, housing stability, education, and community engagement. Due to these fiscal constraints, no SAHF member is able to provide services at every property in its portfolio across all five areas described above. Given the need, government and philanthropic funding for resident services is severely limited. As mission-oriented nonprofits, SAHF members redirect some portion of their net revenues and corporate assets to supporting resident services. But these funds, too, are limited. Even with restricted budgets, SAHF members continue to innovate. For example, smaller properties often share a resident service coordinator. One of SAHF’s members, The Evangelical Lutheran Good Samaritan Society, is piloting the use of remote service coordination via technology for small rural properties. SAHF members have witnessed first-hand the advantages of connecting affordable housing to needed services. Low-income people often face practical obstacles to receiving services located elsewhere in the community, such as a lack of transportation or childcare, limited physical mobility, or concerns about safety. Onsite services are readily accessible, visible, and more easily tailored to resident needs. A familiar and trusted staff member at the property is also better positioned to build long-term relationships with residents. The strength of such relationships can be the key to supporting people to access opportunities and improve their quality of life. SAHF hopes that this Outcomes Initiative proves to be a significant step forward in making the full potential of service-enriched housing a reality and attracts additional partners and investors to the work of committed affordable housing providers. The support of the Kresge, Annie E. Casey, and MacArthur Foundations has helped SAHF and its members leverage its resources and attract additional partners to this work. Five years ago, Operation Pathways, which manages resident services at affordable housing provider NHP Foundation, said they were like most nonprofits when it came to data collection—inconsistent. 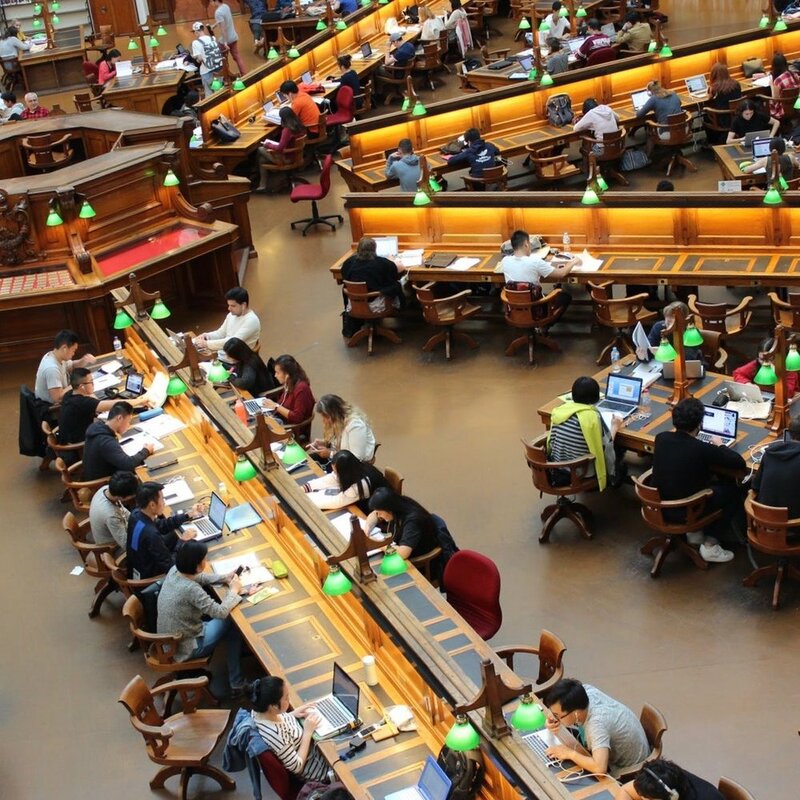 Staff members scrupulously tracked data when a grant required it. They collected long-term data on signature programs, like an afterschool program that raised math and reading achievement. But with so much hands-on work to do for people in need, data collection simply wasn’t a priority. 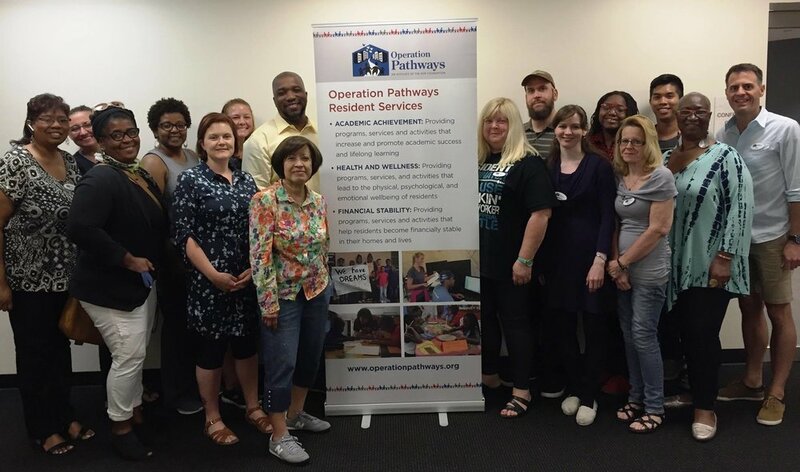 In 2013, Operation Pathways joined the Outcomes Initiative led by Stewards of Affordable Housing for the Future and began collecting detailed data on individual residents and programs. The effort, staff said, was well worth the result: better decision-making at all levels and better outcomes for residents. “It transformed how we operate,” said Kevin Lewis, program director for Operation Pathways, Inc., an NHP affiliate that manages resident services at 24 properties in 14 states and the District of Columbia. Analyzing data centrally, with help from a data manager, allows leaders to quickly identify issues and respond, explained Operation Pathways Executive Director Ken White. The weekly data review might reveal, for instance, that certain tenants are missing rental payments. Previously, they might not have received that information from property managers—who at some sites work for separate companies— until an eviction was already underway. In Fall River, Massachusetts, Resident Service Coordinator Pamela Anderson acknowledged that she “waded into the data pool dragging my feet.” But sitting down with residents to complete in-depth surveys changed her mind. For one, she was shocked at the quantity of sugary beverages they consumed. As a result, she intends to step up health education by inviting diabetes educators and nutritionists to every upcoming resident event. Next year, she will collect data again and see if her strategy had a measurable impact. “I can’t wait,” she said. Jean Ortmann-Sotomayor, a coordinator in St. Louis, Missouri, said she used her data to identify which residents were most at risk for eviction or social isolation and provide immediate assistance. Jennifer Roy, a coordinator in Baltimore, Maryland, said she knows from her data which residents lack health insurance and can help them apply. She can also identify those eligible for benefits that require Medicare or Medicaid enrollment, such as access to certain food banks. Conducting the one-on-one surveys, coordinators said, also helped them identify the needs of individual residents that would have otherwise been overlooked. Tiffany Martinez in New Orleans said she surveyed a resident earning minimum wage at a fast food restaurant who wanted a better opportunity. Over several weeks, Martinez helped her update her resume and prepare for interviews. The woman soon landed a better-paying job as a hostess in a French Quarter restaurant and was later promoted to shift manager. Anderson said the survey helped her uncover “a couple dozen” residents with hidden needs that she could fill. For a mother who wanted to qualify as a certified nursing assistant but lacked the money for tuition and books, Anderson identified an agency with scholarships. For a man with a growth on his leg who hadn’t received medical attention in years, she made an immediate doctor’s appointment. For a smiling woman who confided that she was falling apart inside, Anderson found a treatment program. The woman “is on new medications, she has cleaned up her apartment, and she has made new friends. Her life has totally turned around,” Anderson reported. "Because of the data collection process I have come to know my residents much better," she added, "on both an individual level and as a community."